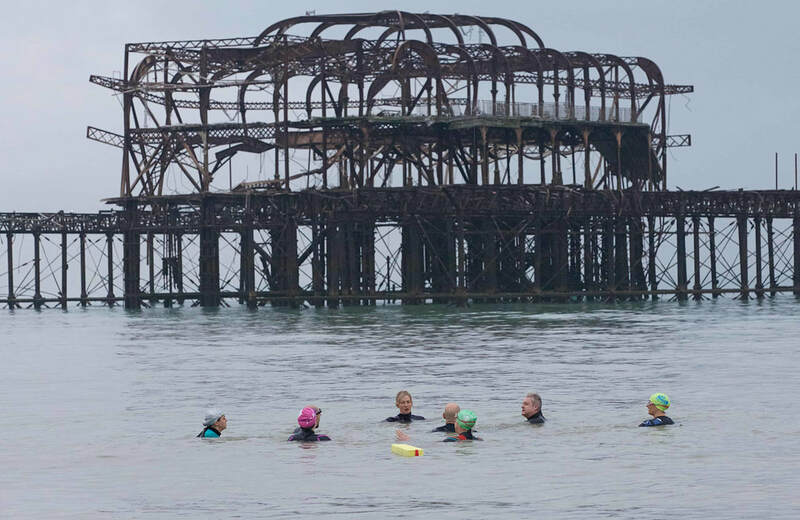 Join us in the morning before Meaning Conference for a guided mindful sea swimming session that’ll help you be more brave, more outward thinking, and give you more headspace for the day ahead. Being out in the sea in a big wide area makes you more conducive to being creative and open, creates mental space, and it helps you tackle uncertain and challenging situations, which can give you a useful perspective to take on the challenges of our dynamic and volatile world. 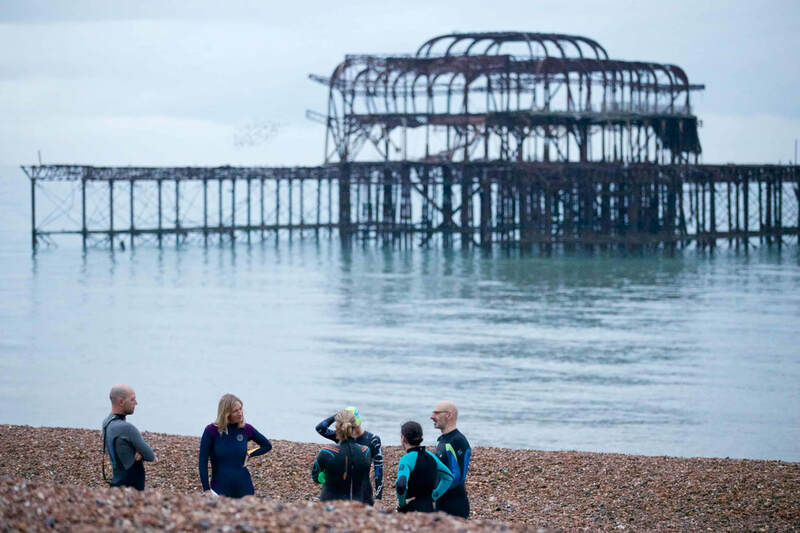 Starting with an introduction to the psychological, emotional and physical benefits of sea swimming, we will follow with a discussion of your individual needs, your relationship to the sea, and your experience of sea swimming. Followed by group discussion indoors at a local cafe, over tea / coffee and a pastry (included). 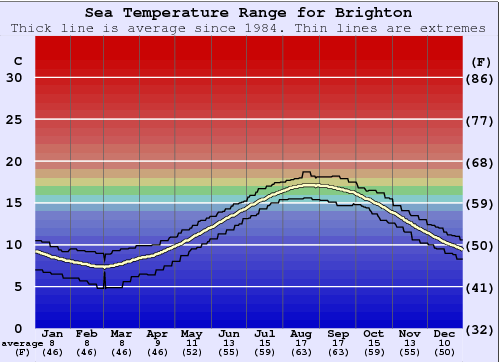 Yes, it’s November, but the sea is the same temperature as it is in June! 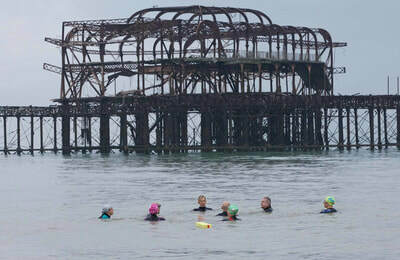 I thoroughly enjoyed the swim. And that experience just before the conference meant that if I ever needed to I could find a ‘buddy’ during the day. It made me feel more at ease and more at home. NEW for 2018: Due to popularity last year, we've arranged a session on the morning after Meaning too - on Friday 16th. 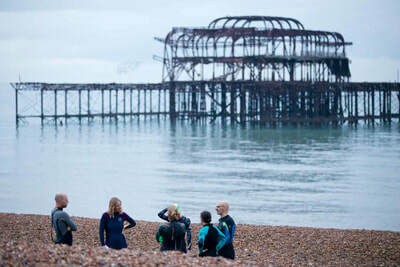 Bring: swimming attire, wetsuit (can be hired), warm clothes to change into afterwards, including a woolly hat. Cost per session: Early Bird £25/person, Standard tickets £30/person. Vicky Cuming, a life long sea swimmer and a psychological therapist who works in the NHS. She is also member of Brighton Surf Life Swimming Club and works with adults and children at the club. ​Surfing the Unpredictable is part of Meaning Fringe, a week of events and opportunities to learn, share and laugh with fellow travellers on the road to better business. At the heart of Meaning Fringe is progressive business conference Meaning. Happening on 15 November at Brighton Dome Concert Hall, Meaning is the unmissable event for people who believe that business has a critical role to play in addressing the challenges of our time.